Halley House School is committed to providing a curriculum that stimulates and excites our pupils, and that promotes independence and creativity. We believe this is vital for our youngest children in the Early Years Foundation Stage, but also through the whole primary phase – and we know that Hackney has a wonderful range of rich and varied opportunities on offer! As well as maximising the use of facilities on the school site, including a bespoke roof terrace that our Reception children use on a daily basis, pupils also have regular excursions to explore their local environment and take their learning further afield. 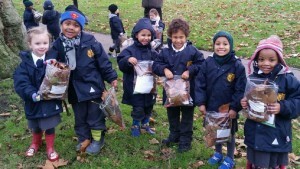 Children use state-of-the-art sports facilities at The Petchey Academy once a week, follow a ‘Forest Schools’ approach during regular visits to Hackney Downs and undertake at least one outdoor-based school trip every half term. Halley House has a dedicated plan to promote outdoor learning, which we regularly review and adapt to ensure the best provision for our children. You can view our plan here. 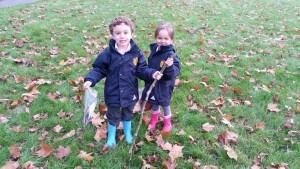 We also run outdoor learning workshops for parents and carers to continue the fun and learning at home!